If you’re contemplating investing in roof tiles for your home or an extension, it is important to educate yourself on which materials are the best. In this article, we explore the difference between concrete and clay roof tiles in order to help you make an informed decision. How popular are roof tiles? Roof tiles are among the oldest roofing materials used in the world. Going as far back as five thousand years, we can see why roof tiles are a popular roofing material for roof replacements. The first modern concrete roof tiles were manufactured in Europe in 1844. In Australia, manufacturing started in the 1920’s. Concrete roof tiles are made from a mixture of water, cement and sand. The mixture is then moulded under high pressure and extreme heat. Afterwards, the surface of the concrete roof tile may be finished with paint like material. 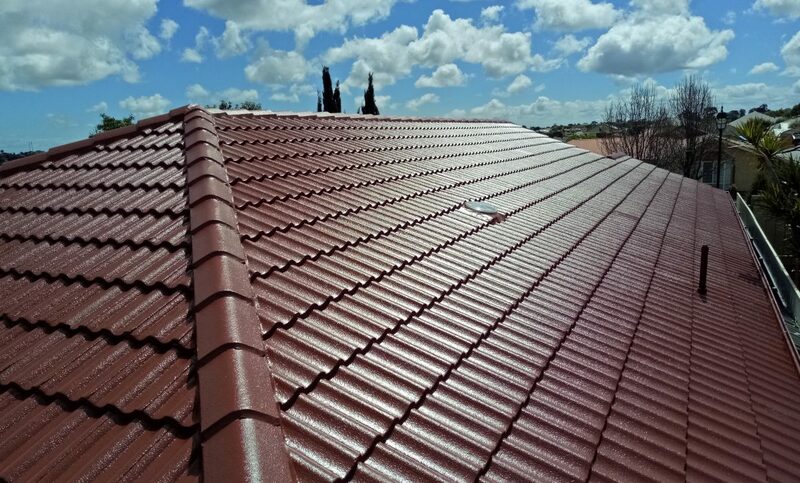 If you happen to look throughout your neighbourhood, you’ll notice that concrete roof tiles remain one of the most popular roofing materials for South Australian homeowners. In fact, if you’re looking to recreate the sophisticated appearance of expensive terracotta tiles, (on a budget) there is simply no better option. Despite the drawbacks of tiled roofs, concrete roof tiles come in a variety of colours, profiles and shapes that may complement and contrast your home’s aesthetics. The surface of concrete roof tiles can be smooth or textured, and tile edges may be uniform or ragged. Better yet, your roof will easily withstand fire, wind, and hail when properly installed by a reputable roofing company. Plus, with the advent of new production techniques, you can pick between a traditional look and something more modern. 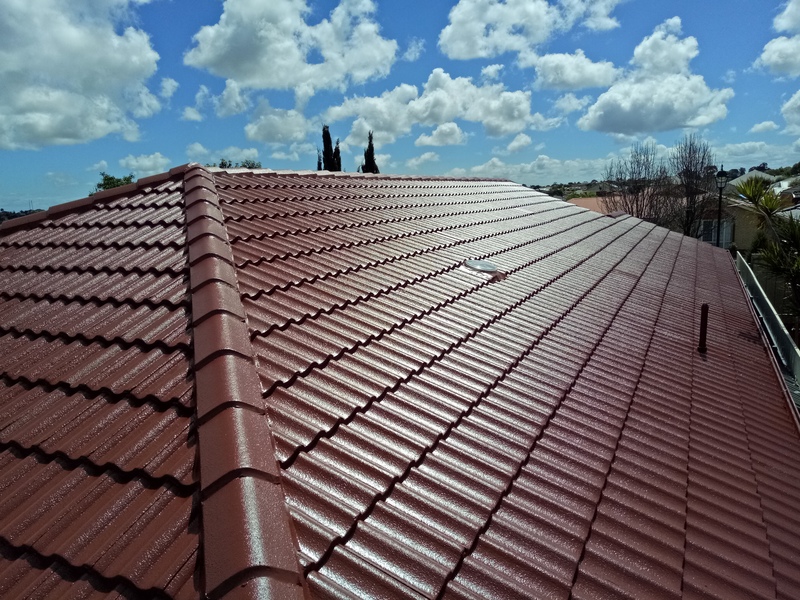 If cost is a major consideration, then you’ll also be pleased to learn that concrete tiles are more cost effective to install versus clay roofing tiles. By now you’re probably convinced that concrete roof tiles are the best thing since sliced bread. But we wouldn’t want you stop reading without knowing the benefits and limitations of clay roof tiles. (2) the length of time they are heated. Generally, clay tiles will come in a range of colours such as brown, yellow, orange and white. The most common clay roof tile colour is Terra-Cotta. One alternative to natural earthy tones is to add enamels to the manufacturing process. This allows you to make any colour of roof tile(s) and is known as ceramic. By spraying enamel over the tile before baking it at high temperatures, you can bind a colour of choice which prevents fading or peeling. As a result of ceramic binding in the kiln, you may choose from a larger variety of colours, profiles, styles and finishes. An additional benefit of clay tiles is that they are manufactured from natural earth materials which allows for environmentally friendly recycling. However, the largest draw back for homeowners of clay roof tiles is cost. Lastly, it’s important to remember that unlike concrete roofing tiles, clay tiles will be more fragile and likely to shatter if roof access is required. We’ve been replacing roofs for over 98 years in South Australia and know that roof replacements are often times an unexpected expense, and a necessity. It’s a big ask to build a new roof for most families. If you’re looking to replace your roof, all it takes is as little $75 per week to get started. Our workmanship and materials are guaranteed, and we always get it right the first time. Get a free, no obligation roof replacement quote today.